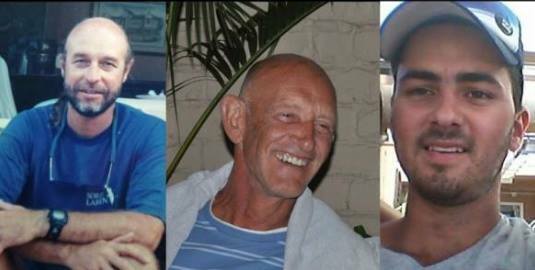 The families of Anthony Murray, Reginald Robertson and Jaryd Payne are raising funds to locate, properly examine for survivors, secure and bring to port the upturned catamaran hull that has been sighted in the Indian Ocean – most recently on June 5th 2015, 552NM SE from Reunion Island. Experts advise the families that this is almost certainly Moorings A5130, the Leopard catamaran that was on a delivery trip to Phuket from Cape Town when all contact was lost with the crew on January 18th at the time of Cyclone Bansi. 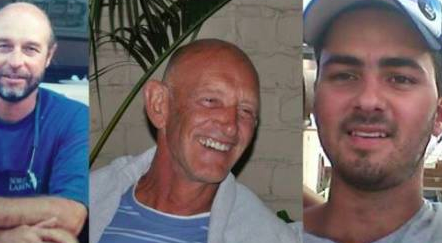 The families of Reg, Jaryd and Anthony have been driving the search for their loved ones for over four months, via a Facebook group and a Tomnod campaign, and with the help of official broadcasts to all ships in the area of drift as designated by the maritime authorities of South Africa and Australia. This campaign is to raise funds to urgently establish if Jaryd, Anthony and Reg are alive in the hull or if the life-raft was deployed. The funds will also be used to properly bring the yacht to shore for investigation and examination by authorities, as well as for any legal costs that arise, for the families, out of this traumatic and ongoing incident. We are so grateful to all that have contributed so generously to our campaign. Please read our press release below, and share it with any media contacts you may have. We are so desperate to get to our capsized catamaran, in the hope of finding our loved ones.. 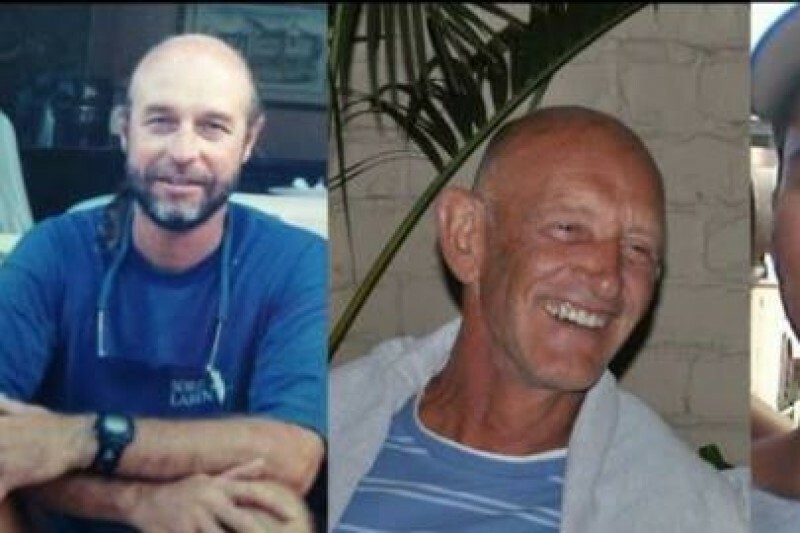 The families of three South African yachtsmen who went missing in the Indian Ocean in January have launched a crowd fundraising initiative in the hope of finding their loved ones. Anthony Murray, Reginald Robertson and Jaryd Payne’s families are raising funds to drive, or be part of, an urgent rescue and recovery effort and other expenses, following two recent sightings of an upturned catamaran hull believed to be that of Moorings A5130/Sunsail RC044-978. They are doing this through the well-known global fundraising website, www.gofundme.com, with a campaign that was launched on June 9th, called “South African Crew Lost at Sea”. The GoFundMe.com campaign follows on from the families’ earlier Tomnod campaign which gained the support of over 35 000 volunteer “nodders”. The crowdsourcing campaign, “Lost Catamaran & Crew At Sea”, used satellite images to examine the Indian Ocean for the catamaran. The first physical sighting was on May 21st when a passing ship reported the upturned hull 583 nautical miles SE of Port Louis, Mauritius. The second sighting on June 5th was 552NM SE of Reunion Island and at the co-ordinates 27 51.7S 063 01.6E. The Maritime Rescue Co-ordination Centre (MRCC) Cape Town continues to issue a Nav Area 7 Navigational Warning in the specific area of drift that it has calculated following the two sightings. The warning asks vessels passing through the area to keep a sharp lookout for the upturned hull and report any sightings to the MRCC. In addition, vessels are being asked to take whatever measures possible to increase the capsized catamaran hull visibility, correctly identify the capsized catamaran hull and recover the capsized catamaran hull for further investigation and inspection. 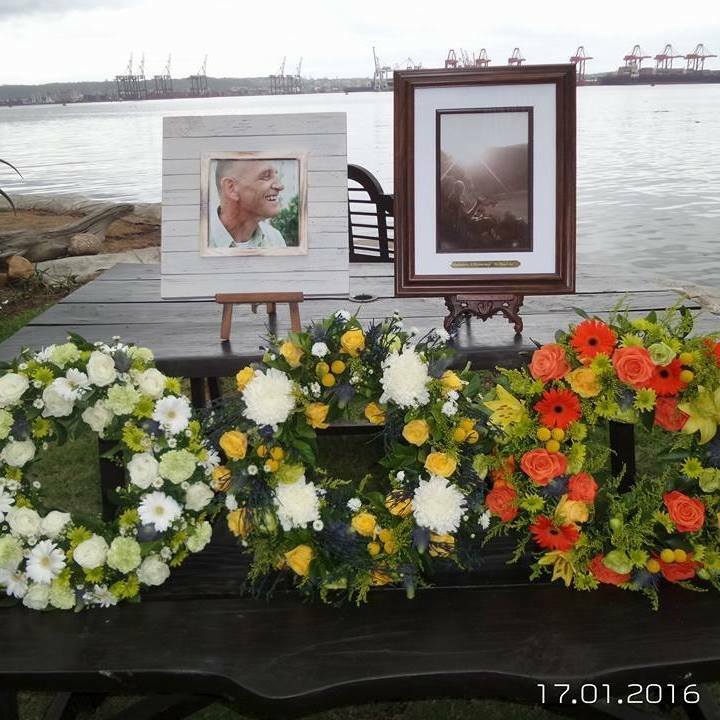 “We are very grateful for everything that the maritime authorities are doing – and have done - for us over the past four months,” says Diane Coetzer, spokesperson for the family group and Anthony Murray’s sister-in-law. Experts working with the families advise that this is almost certainly Moorings A5130, the Leopard catamaran that left Cape Town on December 14th 2014 with Murray, Robertson and Payne on board. The skipper Murray and his crew of Robertson and Payne had been employed by, or on behalf of Tui Marine (part of the Tui Group) to deliver the catamaran to its operators in Thailand. All contact was lost with the vessel on January 18th during the time of Cyclone Bansi, a tropical cyclone that reached Category 4 status on the Saffir-Simpson Scale as it moved through the Southern Indian Ocean, in very close proximity to the vessel. 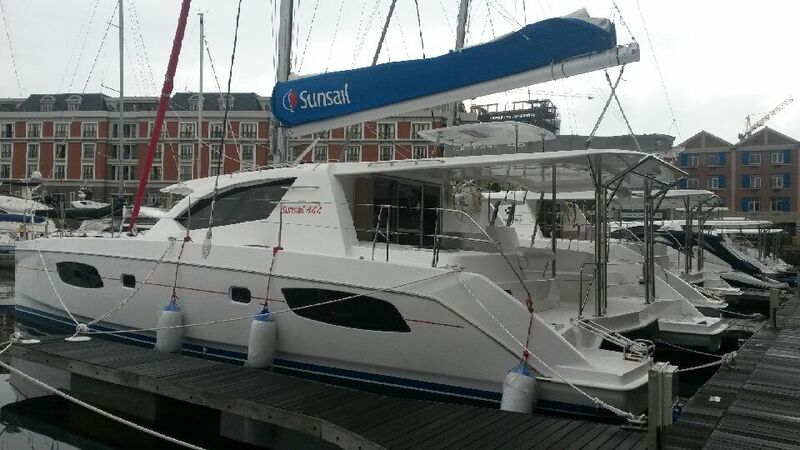 Following multiple attempts to establish the whereabouts and safety of their loved ones with the catamaran owners in the weeks immediately following the loss of contact, Moorings A5130 was reported missing to MRCC in Cape Town by desperate family members on the evening of February 11th and again on the morning of February 12th. This is contrary to reports that Tui Marine reported Moorings A5130 missing to the authorities. Since then, the families of Robertson, Payne and Murray have been driving the search for their loved ones for over four months, via a Facebook group and a Tomnod crowd sourcing satellite search campaign. The latter, which ran from early March, was aided by an area of drift as established by the Joint Rescue Co-ordination Centre (JRCC) of the Australian Maritime Safety Authority (AMSA) which co-ordinated the official search and rescue for Moorings A5130 from early March. The official search and rescue was handed back to Cape Town mid-April and was closed on May 15th – six days before the first sighting of the upturned hull. Although MRCC had informed the families that they would act should the catamaran be sighted after the closing of the S&R, the hull is currently in international waters and falls outside MRCC Cape Town’s jurisdiction. Since the May 21st sighting by a passing ship, the MRCC, a division of the South African Maritime Safety Authority (SAMSA), has been actively asking for the co-operation of ships passing through the updated area of drift. As at June 5th the area of drift lies between the following co-ordinates - A. 27 – 09.2 S 062 – 41.3 E, B. 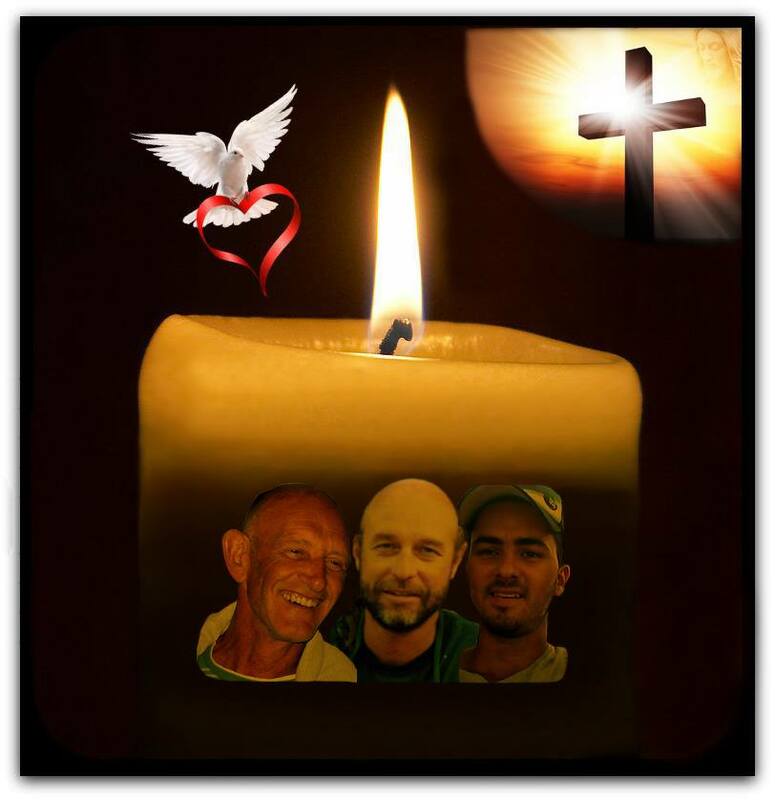 27 – 23.5 S 064 – 38.6 E, C. 29 – 07.8 S 064 – 23.3 E and D. 28 – 53.3 S 062 – 24.2 E.
Funds raised through the GoFundMe effort “South African Crew Lost At Sea” will be used to allow the families to successfully locate, properly examine for survivors, secure and bring the upturned catamaran hull to port for investigation and examination by authorities, as well as for any legal costs that arise, for the families, out of this traumatic and ongoing incident. I am overwhelmed by the generosity of people. Thank to all of you who have donated. Every penny helps. Thank you so much for donating and sharing everyone! We hope our little token will go a long way to support your family through its most challenging time.